This beautifully handcrafted vase honors the Jordanian tradition of ceramic art while blending Arabic and modern aesthetics. Silsal Ceramics was started by two sisters, Reem and Rula Atallah, who wanted to help preserve the cultural tradition of ceramic art and utilize Jordanian talents, especially women artisans. The designs and shapes are inspired by the historical and minimalist modern designs. The passion for this traditional craft is complemented by Silsal's dedication to social responsibility as well as cultural enrichment and environmental consciousness. 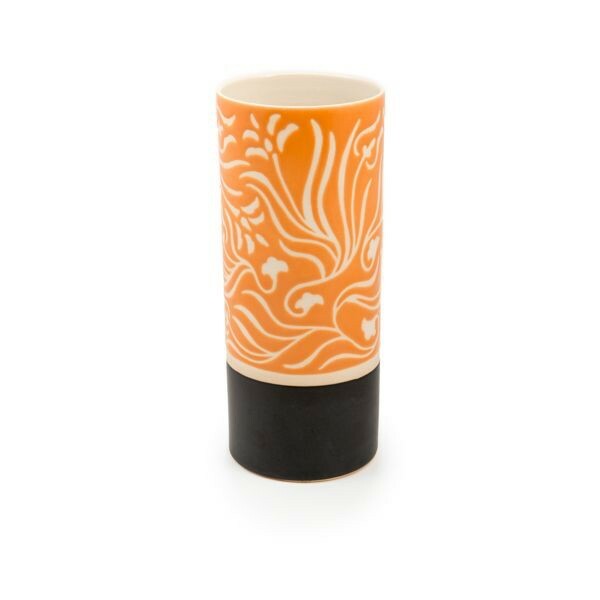 This handcrafted vase, like all their items, is an exquisite piece of art that can be both admired and used in your home.